Lapointe, Pierre Louis and Claire Poitras. "Le Gardeur". The Canadian Encyclopedia, 26 April 2018, Historica Canada. https://www.thecanadianencyclopedia.ca/en/article/le-gardeur. Accessed 24 April 2019. First set up as the parish municipality of Saint-Paul-l'Ermite in 1857, it was incorporated as a city under the same name in 1973 before changing its designation to Le Gardeur in 1978. 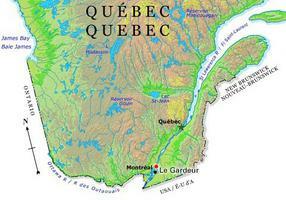 Le Gardeur, Qué, pop 17 668 (2001c), 16 853 (1996c), is located about 40 km northeast of MONTRÉAL on the west bank of the Rivière L'Assomption. 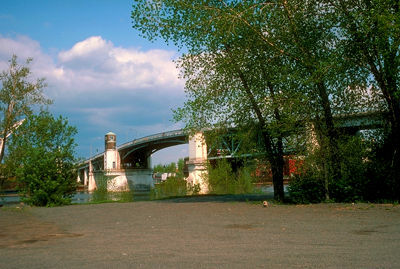 On 1 June 2002, Le Gardeur was amalgamated with the city of REPENTIGNY, which lies across the river. First set up as the parish municipality of Saint-Paul-l'Ermite in 1857, it was incorporated as a city under the same name in 1973 before changing its designation to Le Gardeur in 1978. The name was chosen as a reminder of the role played by the Legardeur family, especially Pierre Legardeur de Repentigny, in the early development of the area. He had been granted the Seigneury de la Repentigny by the COMPAGNIE DES CENT-ASSOCIÉS in 1647. What used to be a peaceful village grew into a large town after 1940 when it became the site of a munitions factory. Just like many localities of the semi-rural belt surrounding Montréal, in the late 20th century, Le Gardeur developed as a largely residential community.